What do Women Have to do to Succeed? 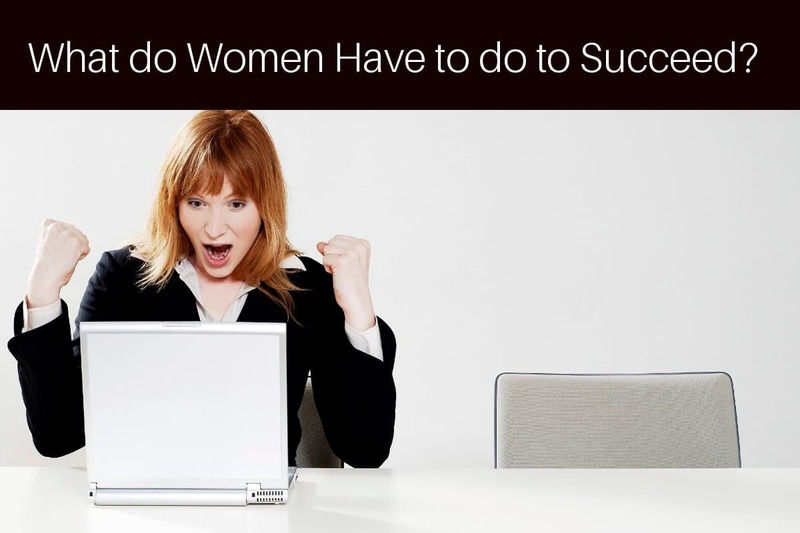 Home » What do Women Have to do to Succeed? What is the most important asset to needed help accelerate your success in business? What exactly do women have to do to succeed? Here’s the simple science. As an executive coach and mentor, this is a question I hear a lot. There are so many talented female leaders out there, but they feel as though they can’t break through the final hurdle to the top. Today I want to look past gender issues and unconscious bias and ask women to do some self-examination. Is there more you could be doing to help you get over the hurdle and accelerate your success? In my experience, there is. The woman who believes she can succeed is the woman who will do it. Let’s take a closer look at what might at first seem to be a pretty glib statement. Alia Crum, a psychologist at Columbia University, presented a TedX talk called “Change your mindset, change the game.” It focused on the way mindset and expectation influences healing, with a positive mindset likely to bring about patient recovery. A positive gender mindset is based in the belief that being a woman is a benefit in the workplace. Our skillset is valued and needed in the workplace and it’s not necessary to fit into the male model of leadership. A survey by Lee Hecht Harrison seems to back this up. They found successful women believed there were no barriers to their success and that they had the abilities and accomplishments to forge ahead. This belief influenced their behaviour, leading them to achieve their goals. What does this mean for you and your leadership aspirations? If you’re not getting the results you want, it’s time to take a look at your mindset. What are you telling yourself about being a woman in the workplace? Do you see it as a help or a hindrance? Are you acting like a leader? Are you using leadership behaviours like self-advocacy and actively asking for opportunities for self-development? If you find yourself hesitating before you act, or you speak up, it may be your mindset holding you back. Our team of mentors at Empowering Ambitious Women can help you change your mindset and develop beliefs which will help you succeed. I’ve worked with women who are limiting themselves and I’ve shown them how to break free. I’d love to see you win the success you want, so please reach out and see how mentoring can benefit you too. I am a Mum, business founder, author and accomplished CEO with over 20 years’ experience in the corporate world. My childhood dream was to become a fighter pilot, but when that didn’t materialise, I found my place in the corporate world, climbing the sales and marketing ladder to my role as CEO of Cox & Kings Australia. I'm the founder of Empowering Ambitious Women, I've led start-ups to companies with annual revenues from $55 million to more than $250 million. My role as CEO of Australia’s leading franchise network of professional builders saw me as a pioneer in the industry; as a female CEO leading a large franchise home building company. I was formally recognised twice by the Telstra Business Women's Awards my achievements in business. As a woman who became one of the 16% of female CEOs, and who has led in male-dominated industries, I’m passionate about creating pathways for women leaders to step up, take a seat at the table and own it.